New Jersey has become the 20th state to develop a community solar program that will allow all residents to participate in a community solar energy program, regardless of income level. The newly announced Community Solar solution adopts a community partnership model to a government service, to the benefit of all involved. Because the panels are installed on commercial spaces like industrial rooftops and parking lots, the program doesn’t give priority to wealthier residents with roofs of their own; it’s open to renters, condo owners, and house owners alike. In fact, 40 percent of the program’s capacity is reserved for low- and moderate-income participants. Because preference is given to “brownfields, landfills, areas of historic fill, and impervious surfaces” for sites, it won’t impinge on the state’s green spaces. In its pilot form, the project is designed to be flexible, so the Board of Public Utilities (BPU) hopes to work out all the kinks during the three-year pilot and launch an improved, permanent program in the future. According to Donna Liu at CivicStory, New York’s solar partnerships served as a model for New Jersey’s efforts. New York’s subscriber model is similar, in that anyone can buy into a grid and it is aimed at low- to moderate-income participants, but it also allows private property owners to host a grid in exchange for a $250,000 tax abatement. Others states, such as California and Colorado, are already ahead in the community solar partnership game. Colorado’s Coyote Ridge Community Solar Farm is the nation’s largest community solar project explicitly for low-income residents. 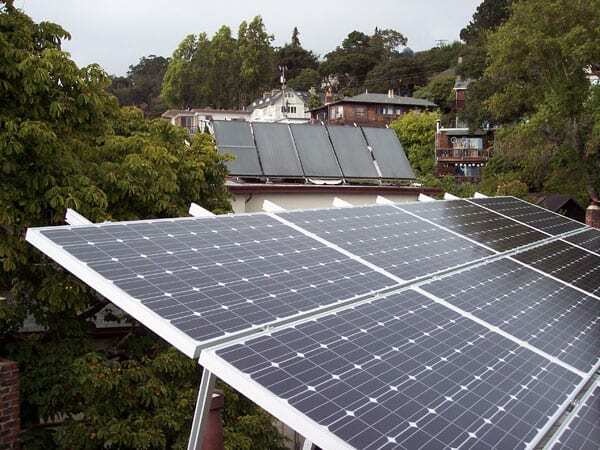 California has developed a sustainable and energy-neutral affordable housing complex and offers grants to nonprofits that “engage underrepresented communities in designing solutions and benefiting from clean energy.” In 2015, the Obama administration’s Department of Energy launched the National Community Solar Partnership, which involved state partnerships, rural electric co-ops, philanthropic and impact investors, and several federal departments to enhance employment and participation opportunities for lower-income Americans in solar energy efforts. Solar energy can even be an avenue of economic revival, as in Puerto Rico after Hurricane Maria, where nonprofits like Resilient Power Puerto Rico and Empowered by Light helped restore power to residents during the many months the island’s main power system was down. Recently, Activision Blizzard donated nearly $13 million to the Breast Cancer Research Foundation through their online game, Overwatch. This represents BCRF’s largest corporate donation, contributing to their $60 million in annual support to research aimed at curing breast cancer.